Revelations about Arctic National Wildlife Refuge's only test well may dispel some mystery — but probably won't shift arguments over drilling much. For decades, there has been no shortage of speculation and just a few scraps of public information about the only oil well ever drilled in the Arctic National Wildlife Refuge in northeast Alaska. It was a bonanza for the oil companies or a total bust or something in between, according to Alaskans who have never stopped guessing about the three-mile-deep hole in the ground known as KIC-1. Following a court fight more than a quarter-century ago, the state abandoned normal practice and agreed that Chevron, BP, Standard Oil of Ohio and two Alaska Native corporations could keep secret whatever they had learned from the $40 million well. The 1992 confidentiality agreement required that no more than two senior state geoscientists have knowledge of the well results at any one time. With oil drilling banned in the refuge, the mystery of the hole in the ground became a symbol of the uncertain future of the Arctic wilderness. Political competitors see it as either a wild area of incalculable value or the best on-shore oil development prospect in North America. Not an inch of middle ground. For environmental groups, the refuge remains one of the crown jewels in the shrinking reservoir of North American wilderness areas. 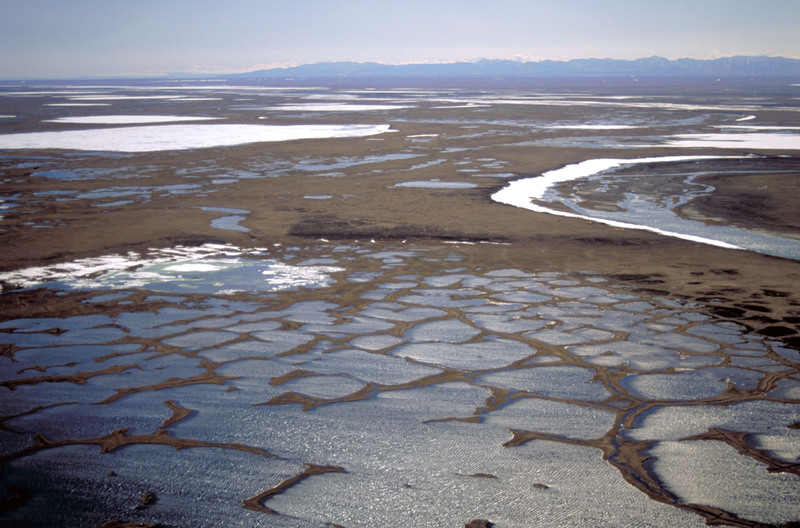 As an enduring element in the news coverage and publicity about ANWR, the legendary exploration well has been treated by Alaska as the crown jewel of state secrets. An official of the Alaska Oil and Gas Conservation Commission claimed earlier this year that if the wrong people learned that the well data was in a locked safe in a secure room, the Anchorage office might come under attack. “I’m sure a lot of people want to get a hold of it and all it would take would be a bulldozer and 15 minutes to get to where it is,” Dan Seamount said at a February hearing. He testified against a fellow commissioner, Hollis French, who had mentioned that the information was locked up with all the other state oil and gas secrets. But now it seems that the hyperbole and journalistic mythology may be coming to an end. I must admit it was a letdown to read a New York Times investigation the other day that said the most famous secret well in Alaska is not the stuff that oil industry dreams are made of. “The discovery well was worthless,” said Sidney B. Silverman, a retired lawyer who checked all this out three decades ago as part of a corporate lawsuit. Last fall, Times reporters Steve Eder and Henry Fountain traveled to Alaska to write about plans to open ANWR to oil drilling. Congress approved the search for oil in late 2017 with an amendment to the federal tax law signed by President Trump. They mentioned the secret well, as everyone does who writes about ANWR drilling. After their first story appeared, Eder and Fountain learned about an old legal case in Cleveland in which the value of the well had actually come up as an issue. This wrinkle in the 1987 corporate takeover of Sohio by BP drew no public notice at the time. But a big oil strike from the secret well would have justified bigger cash payouts to shareholders of Sohio, so the lawyers wanted an answer. “As is often the case in investigative reporting, one person led to another,” Eder wrote on Twitter about how they pieced all this together. “Many of the people involved in the BP-Standard Oil case were dead. Some had a foggy recollection of the case. But Sidney Silverman, a retired lawyer, had a clear memory of deposing a BP executive and learning that the well results were disappointing,” Eder wrote. In Cleveland, the reporters found court records that led them to the BP executive who had been deposed by Silverman. The former BP exec remembered it the same way. Other retired executives and lawyers confirmed the thrust of the story—that the well had not been encouraging. Despite the revelations, the fight over whether oil drilling will ever take place is likely to continue for years in courtrooms and hearing rooms, with every lease sale, permit and company announcement triggering protests and pushback. And as to what significance the secret well will now hold, it is best to avoid any sweeping conclusions. Dry holes are commonplace because oil reservoirs are complicated and irregular. “None of this is to say definitively that there is no oil in the refuge,” Fountain wrote on Twitter. The United States Geological Survey estimates that the refuge may have enormous oil and gas reserves, from 5.7 billion barrels to 16 billion barrels, but nothing is guaranteed — which may the most important lesson from the mystery well.